When I developed chronic atrial fibrillation in the fall of 2010 I decided that I didn’t want to take drugs aka conventional (FDA approved) medicine for treatment. Conventional treatment of my cancer had gone badly. Conventional treatment of my deep vein thrombosis (DVT) had gone badly as well. AFib is a common side effect of two of the chemotherapy regimens I took during my cancer therapy. Unfortunately, I did not know if I could live with chronic Afib without increasing other health risks such as my risk of stroke. Everyone I knew of who experienced Afib, temporary or chronic, took blood thinners like Plavix or Coumadin. I knew there were short, long-term and late stage side effects associated with these drugs that I didn’t want to risk (coumadin side effects, plavix side effects). The question then becomes, how can I reduce my risk of stroke without causing some other health risk? I learned that I needed to manage my risk of stroke and my heart-health in general. I get a regular heart check up and keep an eye on my “ejection-fraction.” For the record, my EF has been 45 since my first check-up in 2010. I credit two different types of non-conventional therapy for my living with chronic atrial fibrillation. First, I credit reading about the importance of habit. I encourage you to read Charles Duhigg’s book “The Power of Habit…” From my morning (moderate) exercise to supplementation (see below), to sleep, most everything health related in my life is powered by habit. The second type of non-conventional therapy for my afib are the supplements listed below. I’ve learned that there are more than a dozen foods, nutritional supplements and lifestyle therapies that I can add to my life that will both reduce my risk of stroke as well as improve my heart health. What is my increased risk of stroke? From what percent to what percent? If I take a blood thinner, how much will I decrease my risk of stroke? From what percent to what percent? If I take a blood thinner, what short, long-term and late stage side effects do I risk? If your doctor’s goal is improving your health and not simply prescribing pills to manage your health then I think he/she would be interested to learn about the nutrition, supplementation and lifestyle therapies linked below. I’ve linked and excerpted information about what I do and why I do what I do. I developed chronic Afib at the age of 50. I wonder if I will be able to live a long, healthy life with this side effect caused by chemotherapy. 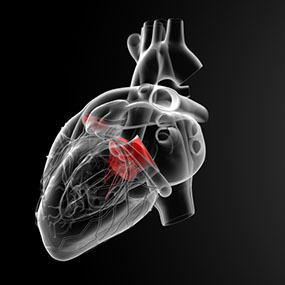 Do you have atrial fibrillation? Please scroll down the page, post a question or comment and I will reply to you ASAP. Whole Body Hyperthermia- Reduce Inflammation, Kill Cancer Stem Cells? Consumption of fish and fish oils and decreased risk of stroke. Which supplements reduce the risk of stroke? Which increase the risk of stroke?